These companies are blazing a trail this year and you might be surprised at just how awesome SA entrepreneurs can be. Stock Market College is probably the biggest stock market learning academy in Africa today. It enrols arounds 500 new students every month ranging from beginners to full time professionals. The key to their success has been in offering their in-depth forex and stock market trading course in such a way that it is super easy to grasp and apply. Their competitive edge is their online support and access to a team of dedicated mentors for every client. QuickTrade has revolutionised the African online trading industry through its advanced and world renowned Metatrader 5 trading platform. It has more than 15 000 forex and share traders and is growing at an exponential rate. Create a Free Account in minutes and trade from the convenience of your phone or device of your choice. PayDay Software Systems is a professional Payroll, HR and Time & Attendance Software Company that adds value to businesses via the application of a client-oriented, user-empowerment approach. With the best technological resources available, PayDay is on the frontier of cutting-edge technology – also providing cloud-based solutions and a mobile app-based T&A system. Trusted by more than 3500 corporate businesses and 48% of local government. FMJ Financial Services are one of the leading tax practitioners and consultants in South Africa specializing in working with all aspects related to INDIVIDUAL tax. They tailor your quote according to your unique profile. Their service is founded on the commitment, dedication and professionalism of their team and they strive to serve their clients by adhering to their own standard of excellence. Their online content hub is a source for in depth personal taxhelp. Interact RDT is one of the leading customer experience consultancies within Africa. They offer a unique scientific approach to experience design that allows their clients to quantify their customer experience and create real organisational change, whilst driving value for their customers. 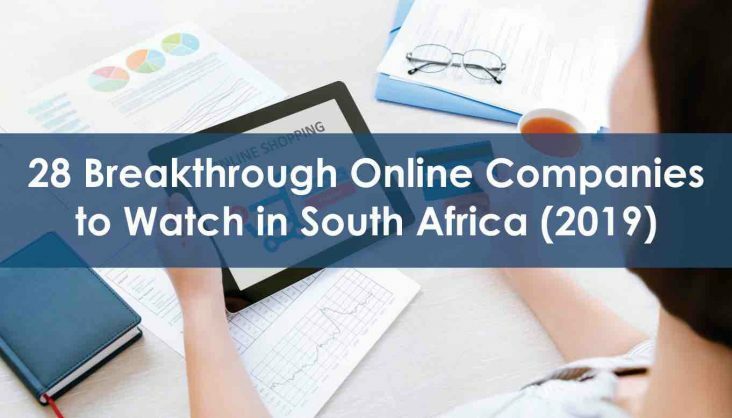 This proprietary approach leverages a combination of Customer Experience, User Experience & Market Research methodologies to not only help organisations exceed customer expectations, but anticipate them. By doing this, organisations are able to create a distinct competitive advantage that forms lasting customer relationships. Newspaper Advertising is an online print platform showcasing all newspapers and magazines to advertise in. Book and placement advert directly with a dedicated and experienced ad team. All advertisement placements include free ad designs and includes a dedicated advertising accounts manager for every business. They have become a one stop print advertising solution. It’s the leading day tour operator in South Africa offering an array of sightseeing trips to places like Soweto, Johannesburg, Cape Town and the Pilanesberg Game Reserve. Moafrika Tours is also popular for personalised long-stay tours to the Kruger National Park, Garden Route and Cape Winelands as well as Victoria Falls, Namibia, Botswana and the famous national parks in Southern Africa. BusTravel Iceland is a day tour operator founded in 1960 has now set up office to attract more South African visitors to Iceland. They specialize in day trips to a number of popular destinations in Iceland including The Golden Circle Tour, Snæfellsnes, The Glacier Lagoon, The South Coast and much more. Not far behind their rival Bustravel, IG tours has also followed suite to open a virtual office in South African to serve the ever-growing tourism market for South Africans to Iceland. Iceland Guided Tours offers small group tours and private tours to the most famous sights in Iceland. They also provide special excursions and trips for cruise ship passengers. New comer on the block Mashalas Tours is Level 1 BEE travel operator taking the local travel industry by storm. They offer a range of tours in and around Gauteng and have expanded their offerings to other provinces in South Africa, the last 6 months. All tours can conveniently be booked and paid online. Commercial People is an exciting up and coming commercial property portal in South Africa that offers real estate agents a free to list platform to host their commercial properties. Residential People is an emerging South African property portal that gives real estate agents the chance to list their properties absolutely free of charge. On Residential People agents will be able to use state-of-the-art marketing tools such as automated PDF, Microsite and Video software to enhance and market their listings even further.